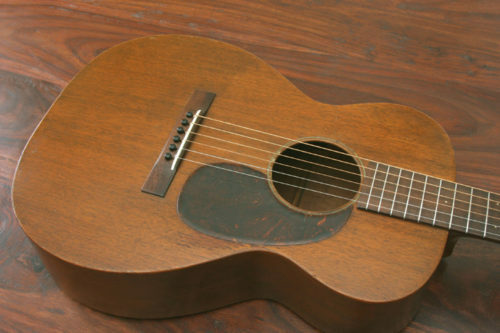 It’s rare to find a Golden Era Martin in this condition. 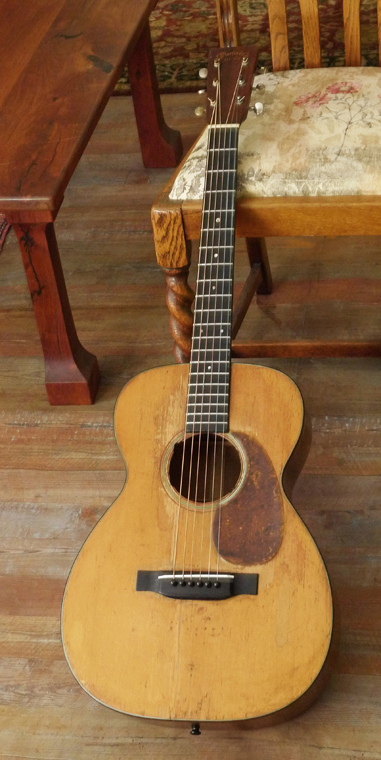 This wonderful, completely crack-free 14-fret guitar from the 30’s is a gem. 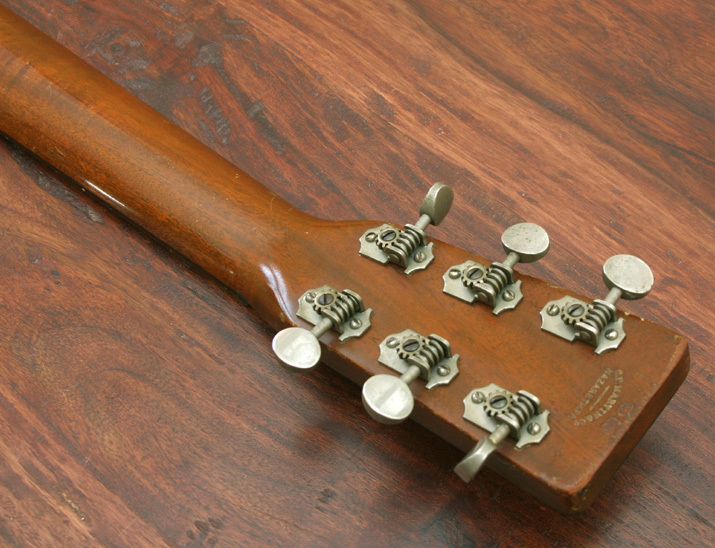 It’s one of the very first Martins of any style to have all three: 14 frets clear of body+Martin decal on the front of the peghead+Martin stamp the back of the peghead. Mahogany top, back and sides, of course, and it has the great, resonant feel and tone of a very lightly built 12-fret, but with more volume, in a 14-fret package. Strong bass response. 1 3/4 inch nut. 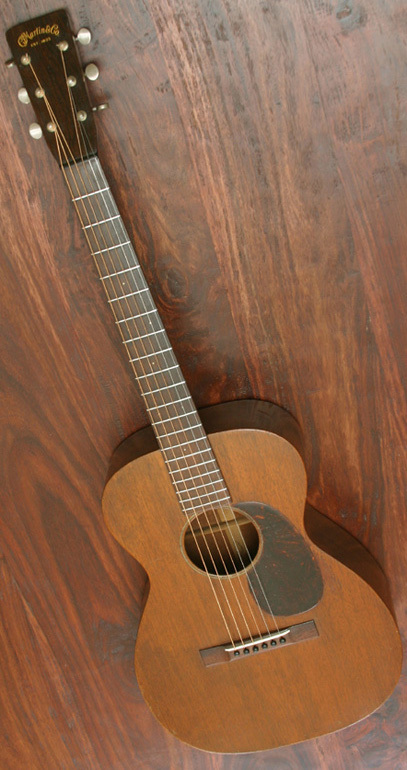 Original finish, everywhere; no cracks anywhere. Original tuners. Original full-height bridge and maple bridge plate. Original bridge pins, and nut. The neck was recently set, so there is a new bone saddle, and the action is nice and low. 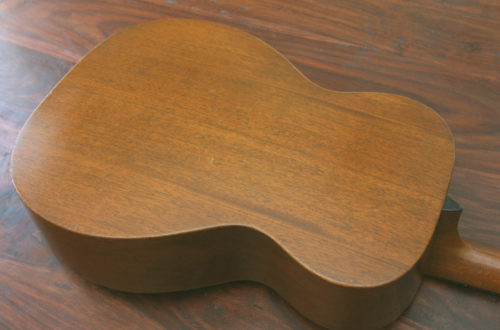 Original bar frets. Some slight wear below the pick guard (not a hint of a crack or even any shrinking of the edges of the pick guard), and a variety of minor dings– but this completely crack-free guitar from the Martin Golden era is a gem.